A group of Gregg County citizens led a drive beginning in 1935 to construct an airport in Gregg County. A vote was held in November of 1940, and the citizens of Gregg County approved the issuance of $200,000 in bonds by a count of 914 to 243. The estimated construction cost at the time was $540,000. A Work Projects Administration (WPA) grant for over $500,000 was received for the balance of the construction cost. The Longview Morning Journal on November 11, 1940 stated that the construction of the airport would supply jobs for 800 men for 8 months. The current location of the airport was selected from several proposed sites as being the best suited for the County Airport. The land currently occupied by the Stroh Brewery in Longview was considered as an option in the evaluation process. The County purchased 800 acres at the current location on which to place the airport. Engineer O.L. Forsgard prepared the plans for the airport, which the Civil Aviation Authority approved. The airport was completed in June of 1945 with assistance of the Civil Aeronautics Commission. The airport and terminal building were officially opened on July 15, 1947. A grand opening ceremony was held, and Attorney General Price Daniel, who later served as governor of Texas, was the guest speaker. News reports indicate that over 15,000 people were on hand at the grand opening to witness the landing of the first two airplanes from Mid-Continent Airlines. Mid-Continent and Delta were the first two airlines to conduct commercial flights from the airport with four flights each per day. 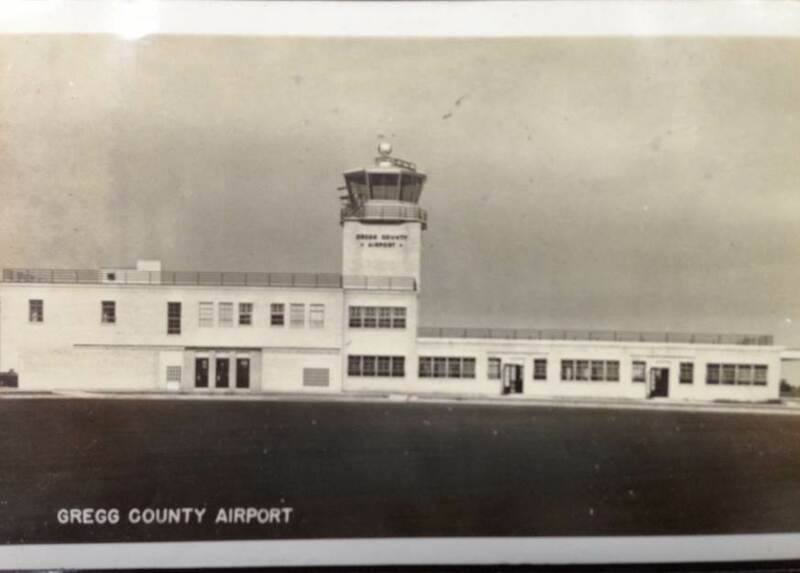 The period from 1947 to 1963 brought about changes to the airport including the addition of runway lights, paved aprons, clear zones, and air conditioning for the terminal building. News reports indicate that the County invested $250,000 in improvements at the airport during this period. The FAA also installed an instrument landing system, approach lights, a VORTAC, and a flightline service station during this period. The next several decades brought about significant changes to the airport, the most notable being the completion of the 10,000-foot runway in 1970. Gregg County holds the distinction of being the first civilian airport in the State and the Southwest to have a 10,000-foot runway. In 1972, when the FAA initiated the Part 139 Certification Program, Gregg County Airport was the first in the State to have dual certified aircraft rescue fire fighters and certified police officers. A new air traffic control tower and a new Aircraft Rescue and Fire Fighting (ARFF) Station were completed in 1976. The 1980’s and early 1990’s brought about major improvements to the airport. Projects that were funded partially by the FAA under the Airport Improvement Program (AlP) program included land acquisition, taxiway resurfacing, security fence installation, access road construction, and improvements to Runways 13-31 and 17-35. 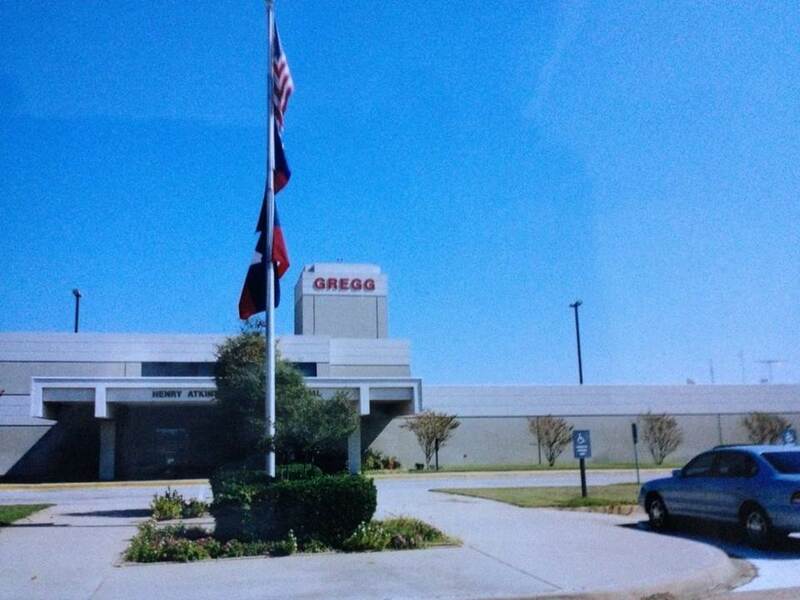 In 1985, the Gregg County Commissioners Court appropriated funds to construct and renovate the terminal building, which was completed on May 13, 1988. 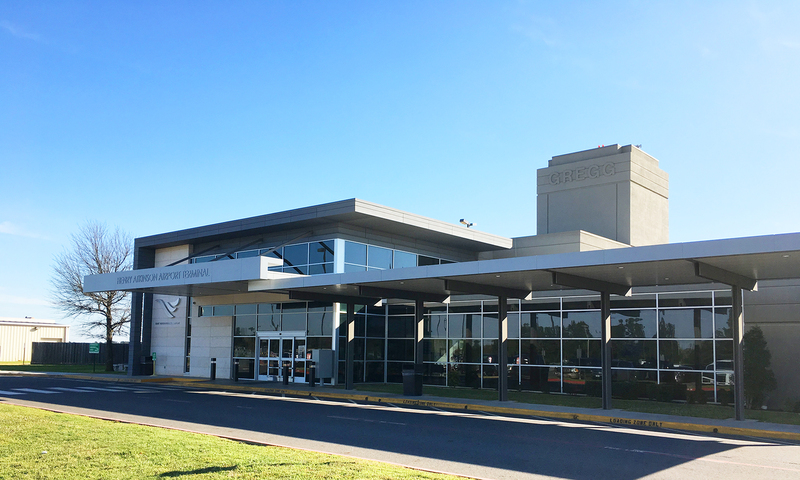 Improvements to the terminal building were constructed without financial assistance from the FAA. Financing for the $1,443,981 project was through certificates of obligation issued by the County. The project included the renovation of the existing structure and 8,000 square feet of additional floor space, bringing the total floor space to 20,108 square feet. In addition, the County constructed a maintenance building in 1986 for storage and maintenance of airport heavy equipment. The County approved a $2,700,000 project in early 1990 to construct water and sewer facilities to serve the three industrial parks located on airport property. A total of $1.65 million in certificates of obligation were issued for a period of 15 years to fund the project. The interest on the C.0.’s brought the total funding level to $2.7 million. Construction of the project was complete in 1992, and the industrial parks are now completely served by utilities. The City of Longview supplies water for the airport, and wastewater treatment is provided at the City’s Wastewater Treatment Plant.